As usual in Australia, we might have received a cool car too late. This is the Nissan 370Z Nismo, which, in some form or another, has been on sale overseas since 2009. Can it hold its own among the modern rivals? 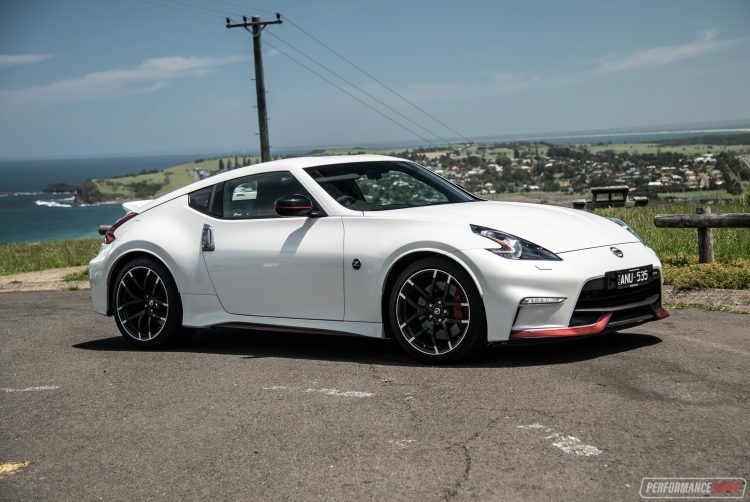 The normal 370Z has been around now since 2009, with a facelift introduced in 2013, and then again in 2015 when this Nismo package debuted overseas. 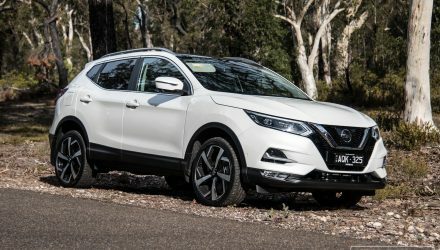 Nissan Australia launched the Nismo version only late last year, which means, technically, it’s already a couple of years old. Up front is a 3.7-litre naturally aspirated V6 that churns out 253kW and 371Nm (up from 245kW and 363Nm in the regular 370Z), matched to either a six-speed manual (as tested) or seven-speed automatic. 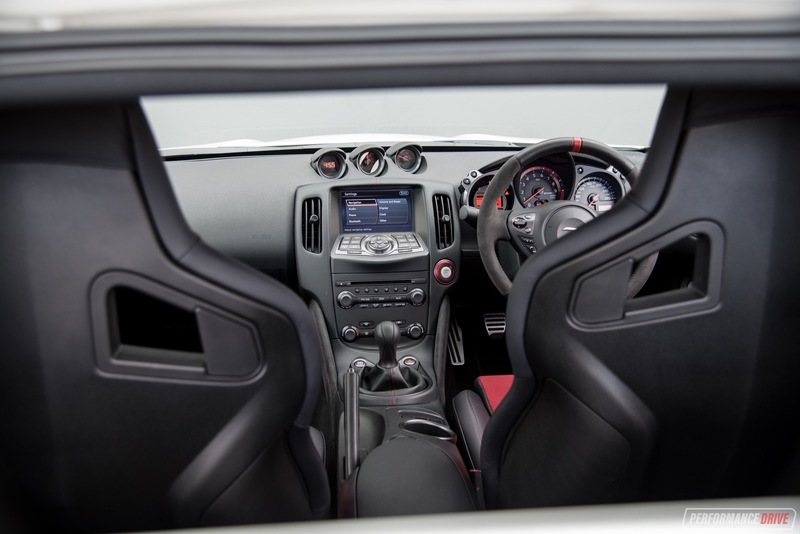 Against its key rivals such as the Ford Mustang and BMW 2 Series, and even the Renault Megane R.S., the 370Z Nismo is nestled nicely in the middle of the power wars between modern turbo tech and the V8 grunt of the Mustang. 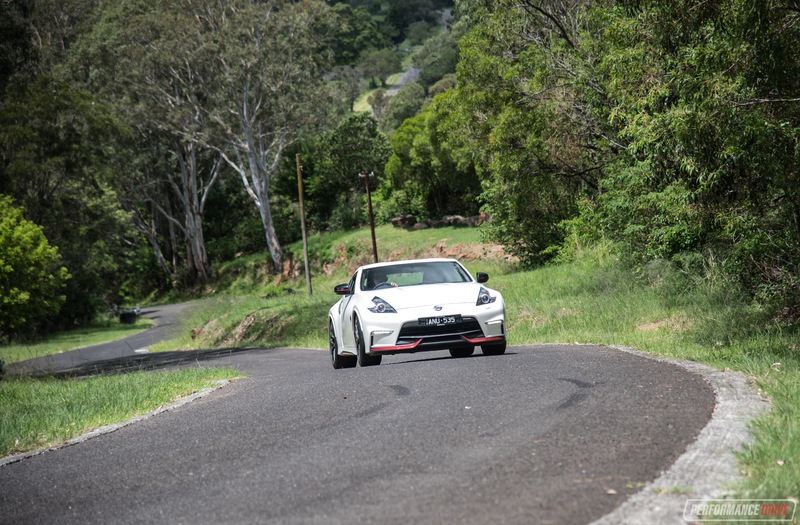 Starting with the regular 370Z, Nismo adds attractive street appeal in almost every area. 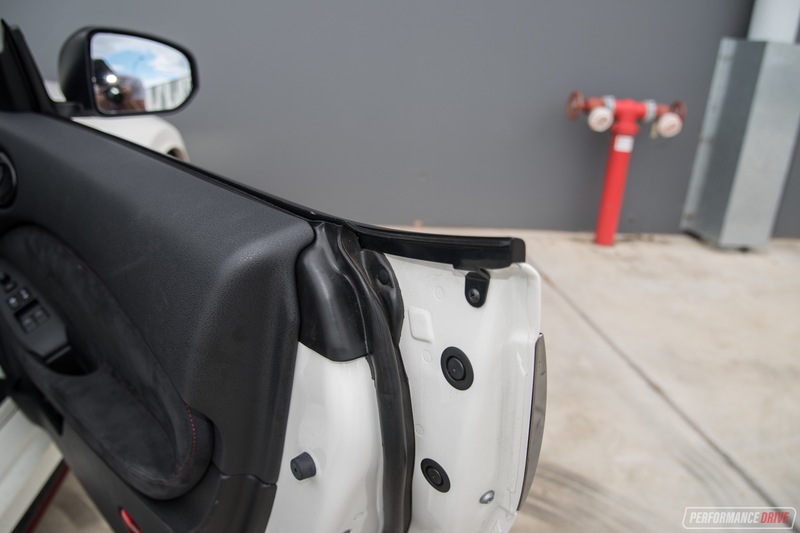 The front and rear bumpers are bespoke Nismo items, featuring spoilers and unique intakes, with a set of matching side skirts and Nismo side mirrors. A blacked-out diffuser is added to the rear, with, like most body trimmings, red highlights for the edges. The bodykit isn’t all about show. Nissan says it provides real downforce on the front and rear axle at speed, helping to press the car down onto the tarmac and improve traction and thus the cornering speed potential. Further to this, there’s a set of dark 19-inch forged alloy wheels by RAYS measuring 9.5 inches wide on the front and a fat 10.5 inches on the rear, wrapped in 245/40 and 285/35 Dunlop SP Sport Maxx GT 600 tyres. Behind these are some eye-popping Nismo brakes with four-piston front and twin-piston rear calipers. In terms of presence alone, the 370Z Nismo is a beast. It looks really tough, especially from behind with its voluptuous rear wheel arches curving around to the plump tail. 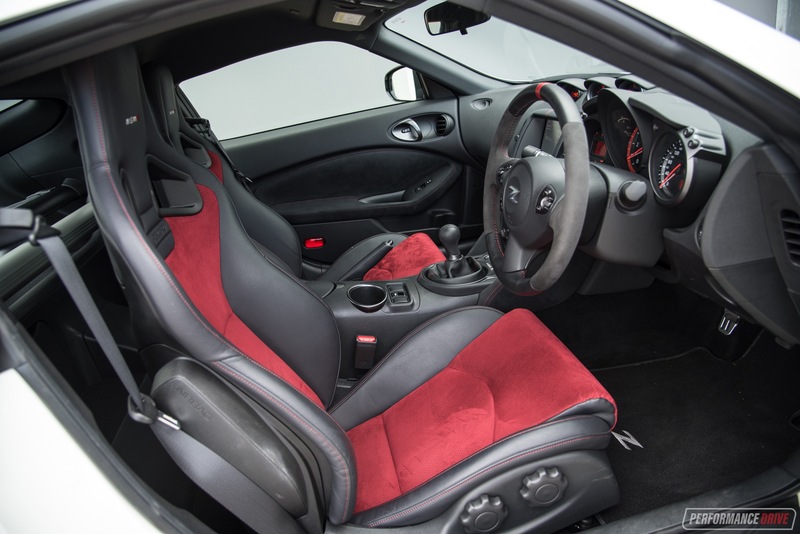 For the interior the Nismo package adds sports seats by Recaro covered in black and red leather and Alcantara, with a matching steering wheel for the driver, and exclusive pedals and instrument cluster setting it apart from the regular 370Z. The overall enhancements applied are tasteful and racy, without going over the top in our opinion. 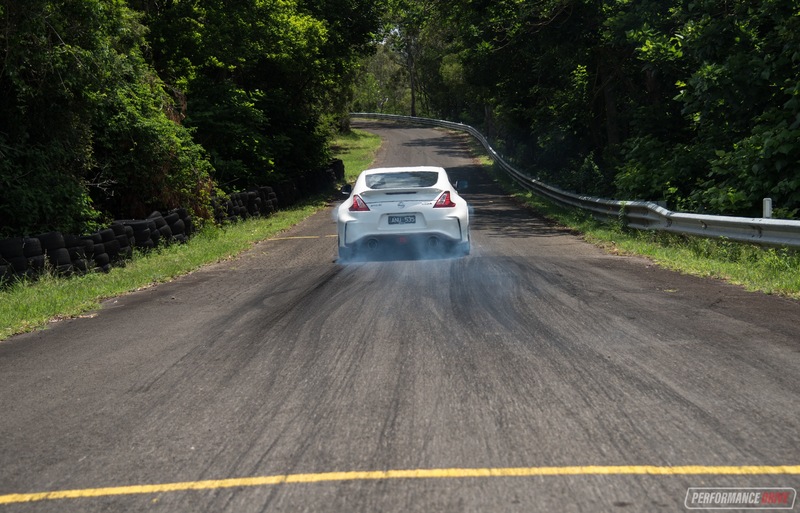 This is the traditional Nismo way, and it ties in well with the 370Z’s natural sporty intensions. 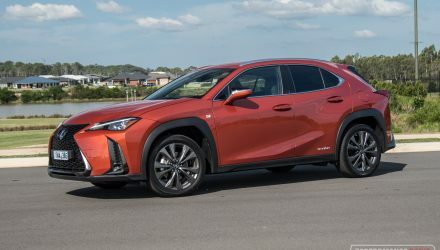 Although the driving position is perfect and reasonably adjustable, there’s no getting away from the fact this is a confined, two-seat sports car. It can feel a bit cramped inside, and getting in and out isn’t exactly the most dignified thing you’ll do on any given day, especially if you manage to stab yourself on the ridiculously sharp door edge like we did. We guess there’s always a price to pay and sacrifices to make for a splendid design. Once you’re in and settled you’ll notice there is a lack of storage around the place. The centre console box is only deep enough for a mobile phone and not much else, and there is one cup holder. Other than that the centre console doesn’t seem like it was designed to optimise the space very well, which is odd when you consider the vast external dimensions and proportions of the car (1870mm wide makes it wider than an Audi A5 coupe). In saying that, there are a pair of handy shelves behind both seats. 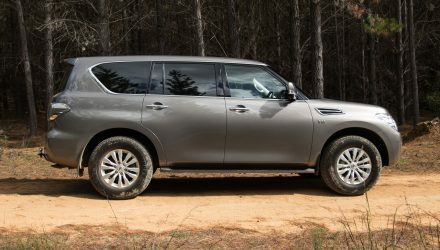 Boot space is small and shallow, with obtrusive suspension towers sapping more room. But the area does go in pretty deep. And thanks to the hatch lid you can stack up objects fairly high. In short, you can pack a couple of weekend bags in there, so long as they aren’t rigid suitcases. Being based on a product from 2009 means most of the on-board technology is behind the current market standards. 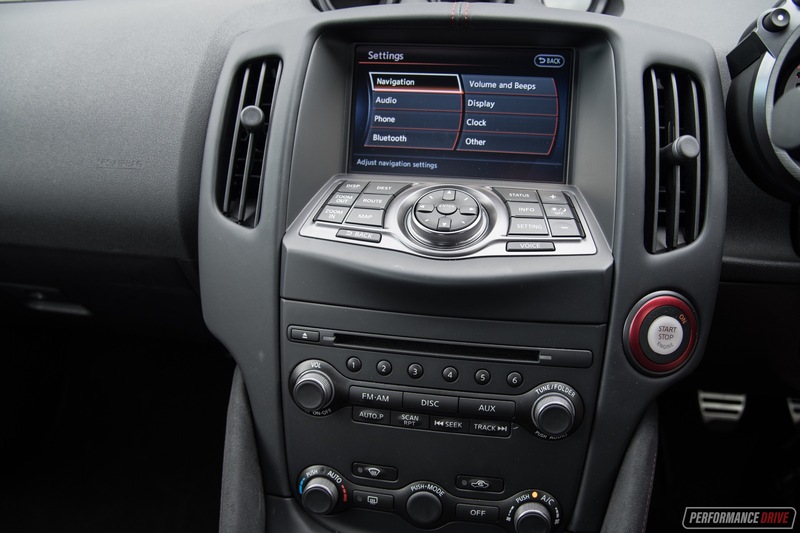 Integrated sat-nav has been added in recent years, along with Bluetooth with music streaming. But, you won’t find Android Auto or Apple CarPlay here. In fact, the touch-screen interface is well behind the market standards, using pixelated graphics and poor colour vibrancy. An awkward and somewhat frustrating concoction of buttons below the screen can make it quite a distracting user experience, at least until you get used to the placement and operation of every button. 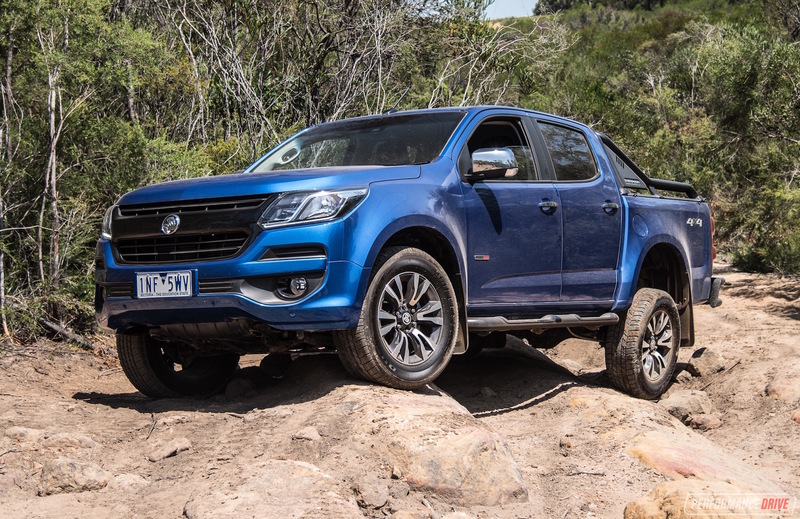 There is a genuine performance appeal to the cabin though. 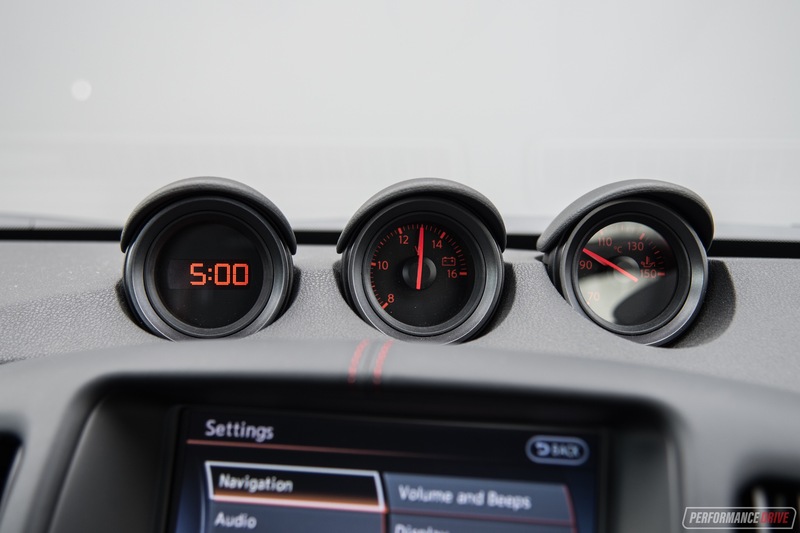 The red highlights and Nismo gauges do make it feel like you’re in a properly tuned car by one of those reputable Japanese workshops. 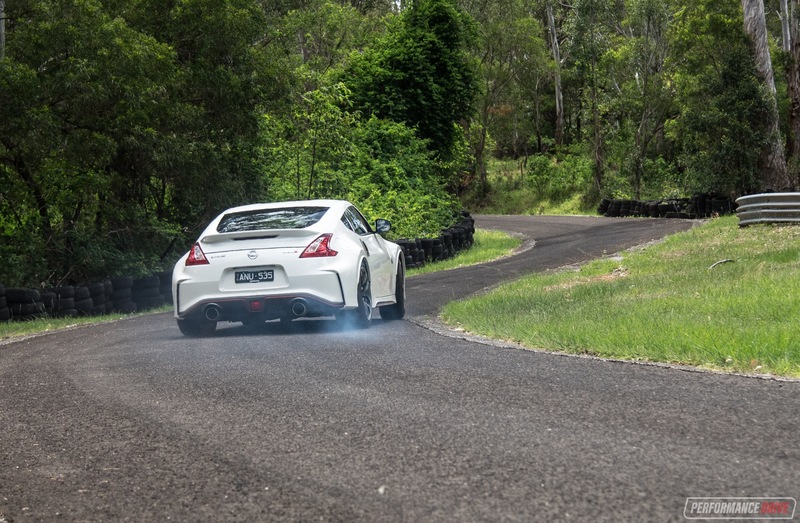 And the bassy note from the Nismo exhaust does heighten the theatrics of it all. Where the 370Z redeems plenty of points is with the drive. From the moment you start the recalibrated and heavier-breathing V6, you know you’re not in a normal runaround. This is a proper sports car with true pedigree. The exhaust noise bellows and hums with deep bass, a bit like a Skyline, and the throttle response is snappy and reassuring. We love the big, manly gear selector mounted up high on the console. It’s not as snickety and smooth as some rivals, but the gear change action is heavy and has that raw, connected feel. 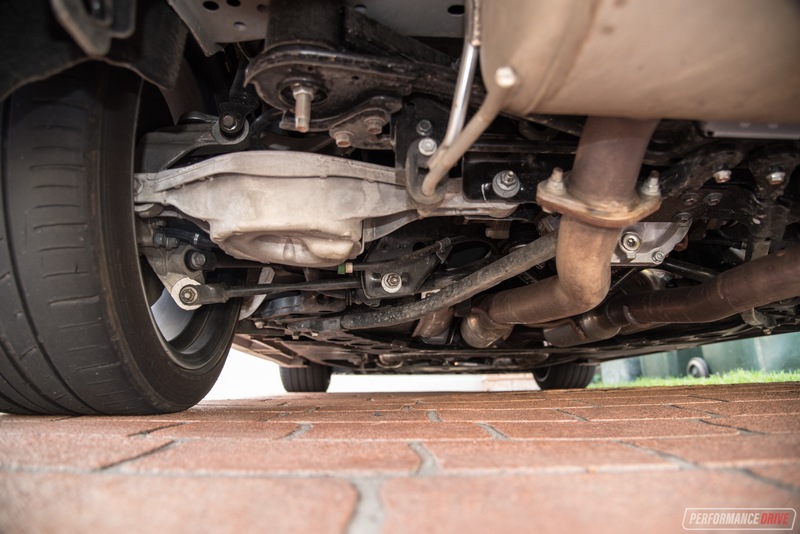 Despite being a relatively old powertrain consisting of a large-capacity engine, the clutch isn’t heavy or tiresome. You get a good sense of where the grab point is and the pedal placement makes it easy for heel-and-toe downchanges. 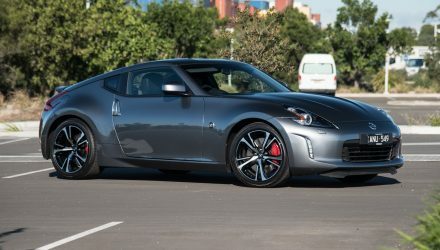 Speaking of which, the 370Z comes with a unique rev-match technology called S-mode that blips the throttle on downchanges automatically, to match the engine revs. This saves you twisting your ankle and doing it yourself. It can be disabled at the touch of a button if you prefer to do this yourself. With it switched on there doesn’t seem to be a specific threshold for the rev-matching to start working. In other words, it will blip the throttle even if you’re simply slowing down to a set of traffic lights; it can make you look like a bit of an arse. Out in the mountains though or on a track, it’s a great innovation. 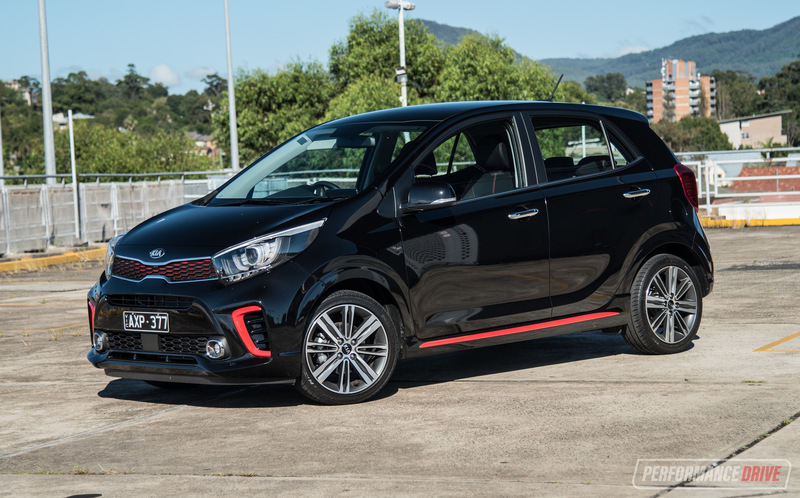 The low-slung nature of the car means you always feel connected to the road, with excellent feedback coming through the mechanical, power-assisted rack and pinion steering. 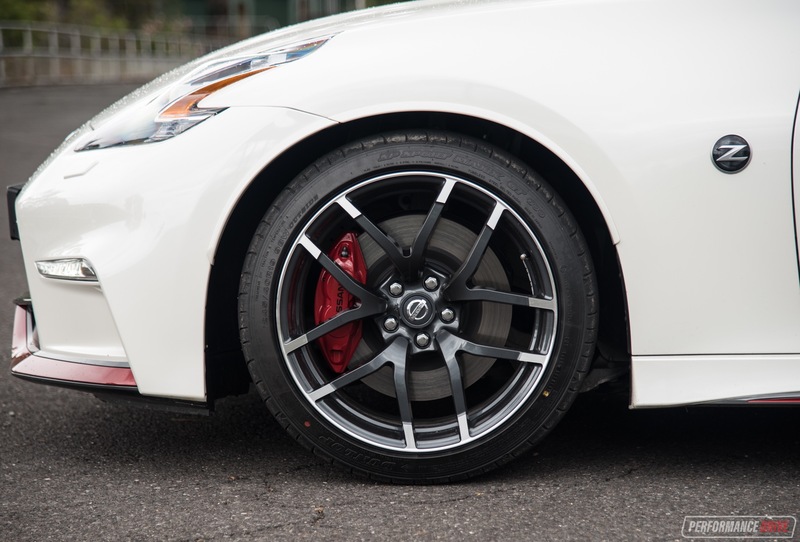 Nismo has fit its own suspension and mounts in some areas, which firms up the ride considerably compared with the regular 370Z. As a result, it is one of the firmer-riding sports cars in the class, but the benefit is zero body roll and very agile handling. This thing zips between corners and loves changing direction quickly. Surprisingly, throwing the car into corners won’t send you into a big slide. Instead it just remains committed and solid. It’s not until you really chuck it in and then apply a big-booted dose of throttle that the tail starts to kick out. 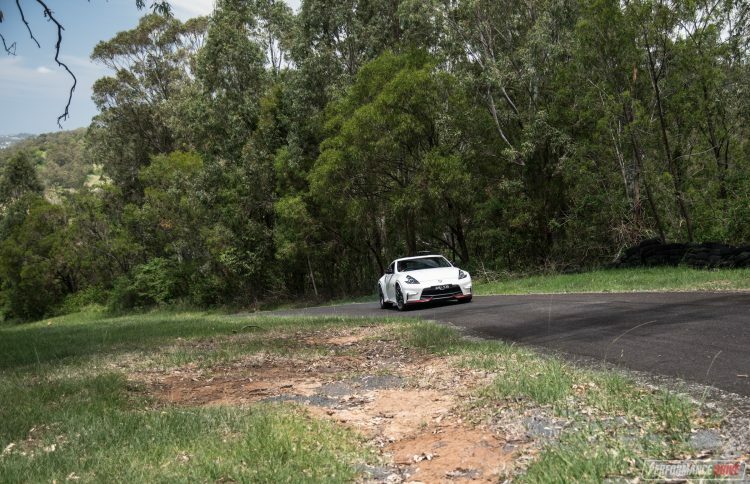 Oversteer is progressive and predictable, making it a cinch to drift even for beginners. There isn’t really any understeer at all. 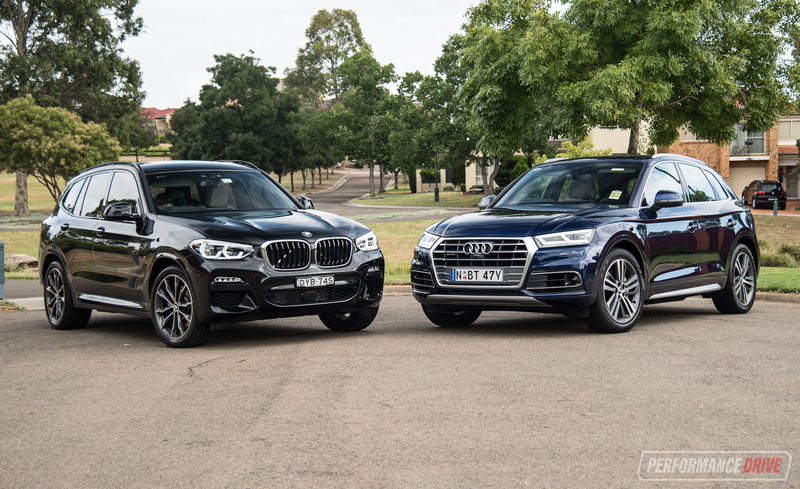 In fact, it turns in at speed exceptionally well, especially compared with the modern, albeit softer-riding rivals. 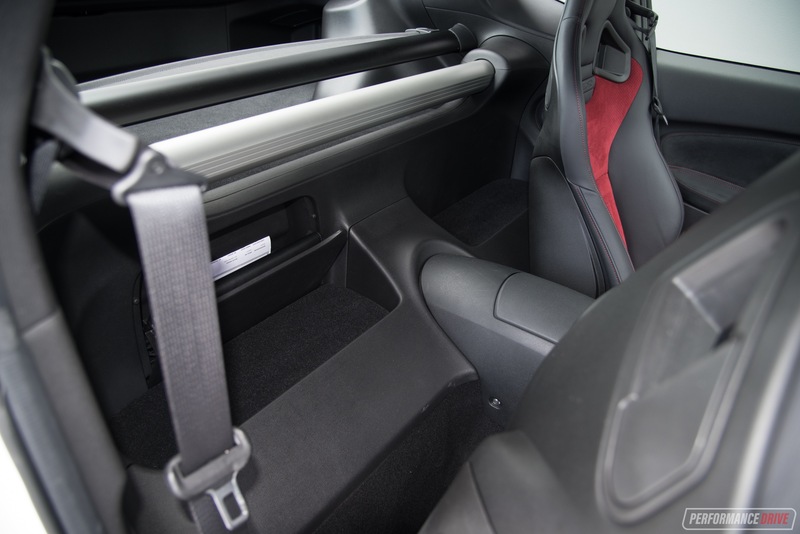 There’s a chunky Nismo strut brace up front for maximum rigidity, and the extensive engineering and development that went into the origins of the 370Z make it a superb, fun, and confident handler in this class. As for that V6 engine. Nissan has fit an active sound enhancer in the cabin to amplify the engine sound, electronically. In a car branded with Nismo, this, we feel, is an embarrassment to all Nismo fans. It should sound awesome, naturally. 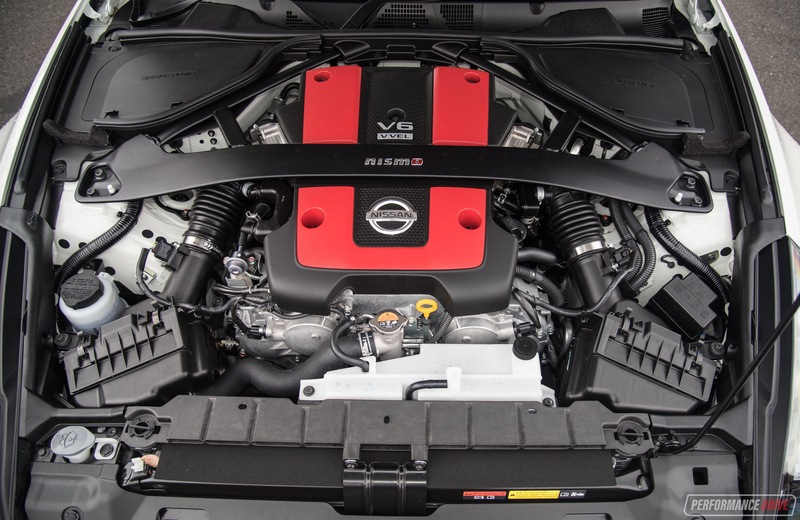 After all it is a high performance V6 engine, tuned by Nismo. At the exhaust outlets the sound is nice and beefy. But from the cabin the fake noise is all too obvious in our opinion. During low revs the low-frequency tone is seductive, but when you rev it right up near its 7500rpm redline the note turns electro. We’re not a fan. 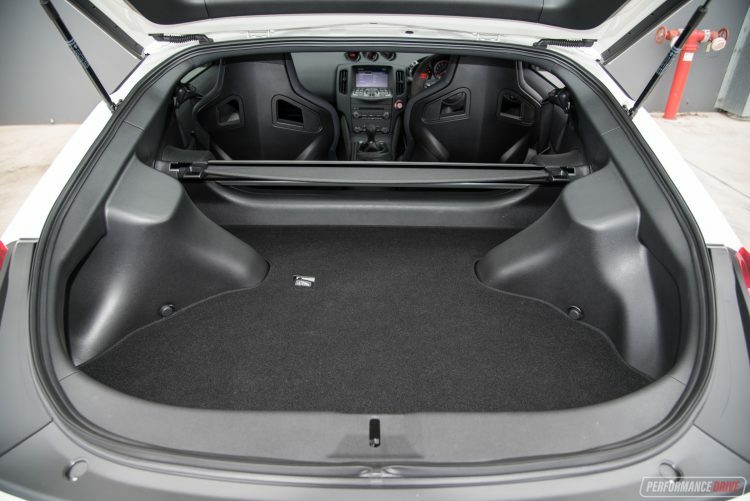 Sure, modern cars and engines are getting more and more refined, with more sound deadening material suffocating soundtracks. However, we think an engine can still produce an attractive melody even if the volume is quiet. 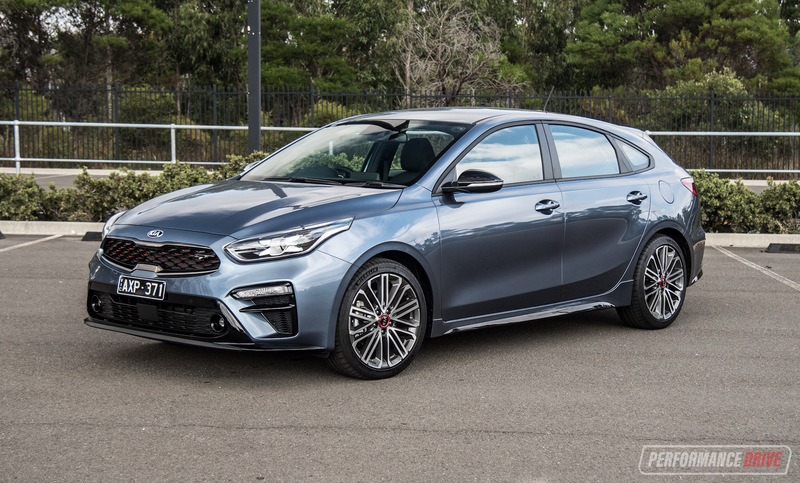 A good option would have been to fit an off switch for the fake sound enhancement tech, a bit like in the Kia Stinger. In terms of performance the V6 is very linear, if a little peaky. Maximum torque isn’t hit until 5200rpm, which means you do have to rev it to see results. This is a good thing though and very typical of a proper, traditional sports car. Flat out we timed a best 0-100km/h in 5.79 seconds, and the quarter mile in 14.38 seconds. It is quick and stacks up well against the competition. Unfortunately, you do have to pay for this performance, in a big way. 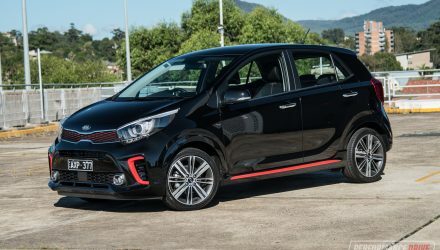 The official fuel economy average of 10.6L/100km is impossible to hit in our view, with more like 12-13L/100km plausible in the real world, even when driven gingerly. 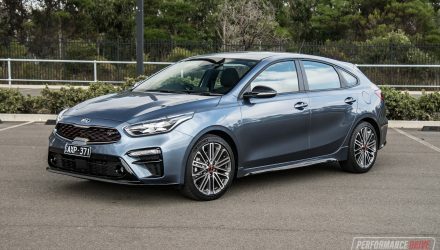 The efficiency is another sign of its age – ideally, it’d be great if Nissan installed its silky smooth 298kW 3.0-litre twin-turbo V6 from the Infiniti Q50 Red Sport. As suspected, we fear the 370Z Nismo has arrived to the party too late. 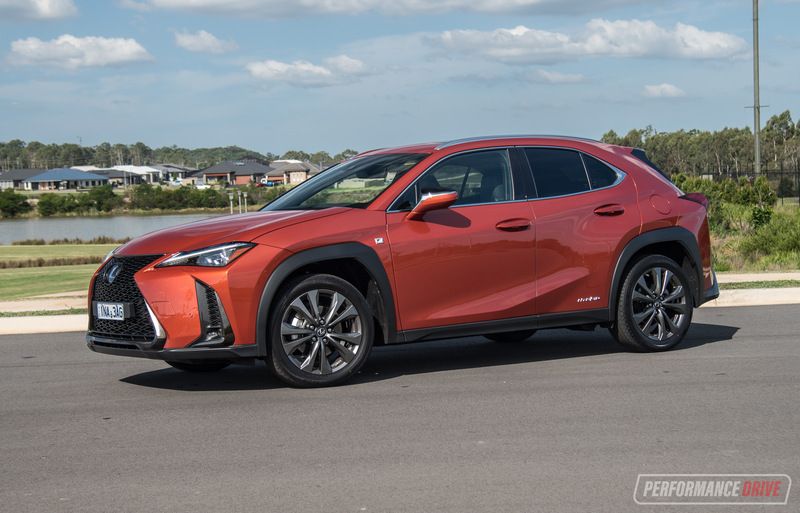 The car has some really good traits and it is very cool to see on the road, but stacked up against the modern rivals there are some drawbacks that become unavoidably evident. The price is high (for what you get, packaging and performance-wise). The engine is very thirsty. 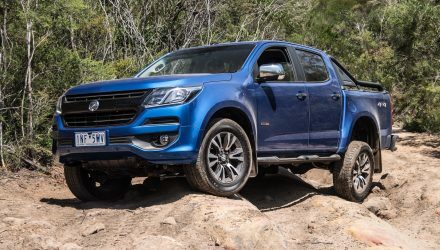 There are practicality issues to put up with, and the on-board technology and lack of active safety systems means it’s last across the line compared with most rivals. However, the exhaust sound and in-car theatre is exciting, and the presence on the road is awe-inspiring. It also has a genuine and original look and feel that forges a unique path in this market. There aren’t many in-house tuning options around anymore, now with FPV and HSV out of the sports car game. 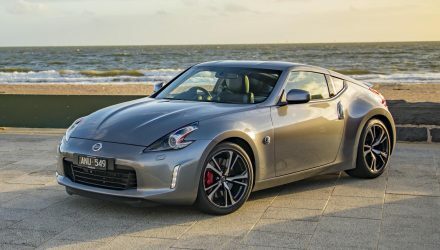 So while we do welcome the 370Z Nismo with a big smile, it just needs to be updated to improve its competitiveness in today’s market and to justify its price.